The KIP 79 Series print systems accelerate print production possibilities with consistent speed productivity. High Definition Print Technology delivers rich expressive black density with advanced greyscale and fine line enhancement. The cloud connected KIP 79 Series is the most productive b&w print system in its class, delivering cost effective operation, increased hourly productivity, daily reliability and long term performance that makes this system the perfect solution for centralized and decentralized production environments. Production environments require consistent print quality, easy operation and complete control of the system including media management, queue control, and accounting for all print, scan and copy activity. 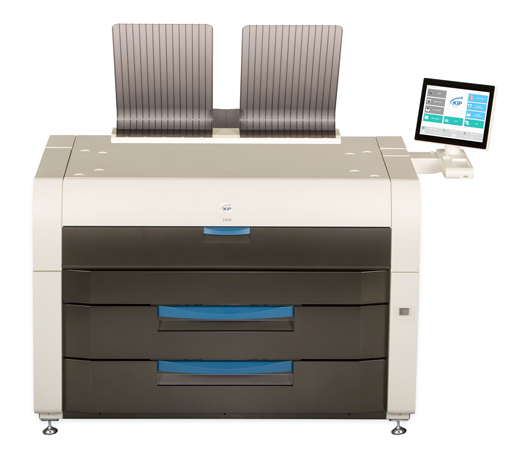 The KIP 79 Series system ensures that the system status and print management control is at your fingertips.